The game challenges players to collect resources and craft spells to save a magical society in the forest. Pettington Park developer, Loot Drop, has partnered with publisher 6waves for the release of its latest title on Facebook: Charmcraft Hollow. The game places players in the role of a witch or wizard, challenging them to build a magical society in the middle of an equally magical forest, in order to prevent the forest from losing its magic altogether. 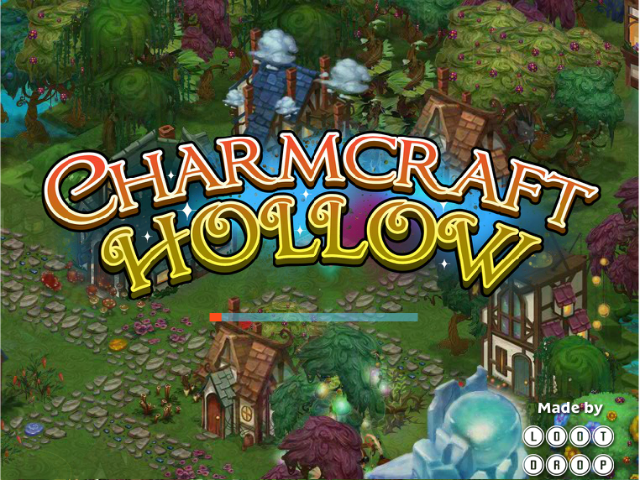 At its core, Charmcraft Hollow is a fantasy-themed ingredient collection and crafting game. Users will harvest plants, clear debris from the forest and complete other actions to collect a wide variety of crafting ingredients, and will use those items to construct new buildings, complete quests, raise animals and complete crafting recipes. Actions require energy to complete, which recharges automatically over time, or can be purchased with premium currency (and subsequently real money). The game uses its magical theme in an interesting way, giving users free reign to manipulate the ground level, casting spells to create hills, mountains, valleys and pools of water. Doing so not only adds a visual difference to the land, but triggers the appearance of additional ingredients for one’s collection. Since so many actions require energy, gamers are encouraged to grow magical trees, allowing them to craft and cast spells to complete the same actions, but without spending that energy. For instance, players can cast a spell to “banish” a debris tree instantly, instead of spending three energy to chop it down manually. Players construct additional crafting buildings over time, unlocking new recipes which help them complete quests. These crafting recipes take time to complete, but users can skip the wait with premium currency. Similarly, players can purchase crafting ingredients outright, if they’d rather not take the time to earn them. For social interaction, players can visit their friends’ forests and complete five daily actions, receiving free items for their own game in the process. Charmcraft Hollow is available to play for free on Facebook.